Please note we can't guarantee the stock is available at the time of placing your order online, you can SMS/Whatsapp 9623-0658 to check. International order will be available soon! Note: Please contact us to check stock availability before coming down. 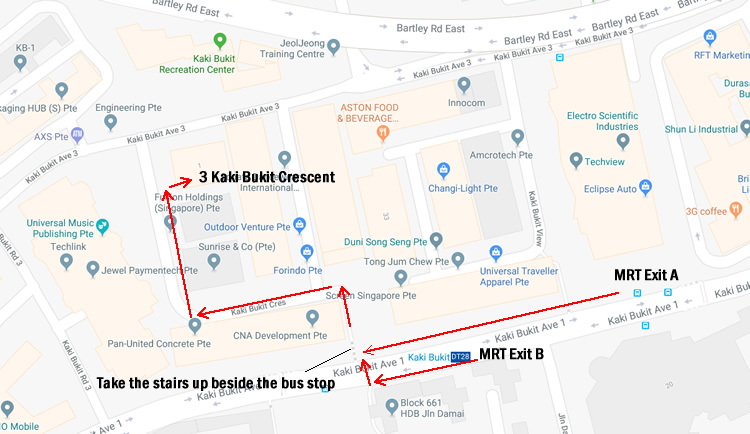 1) Collection at our warehouse at your convenience (please refer to map below). Collection by appointment Only. Please text 96230658 to make arrangement. We provide post/courier delivery service for our customers' convenience and we will not be liable for any delay in processing and delivery. We will not be responsible and will not assist in any issues such as damages or missing items if you choose to engage your own courier. We will also not bear any incurred cost of delivery. For those who need the product(s) urgently please do NOT choose delivery, opt for self collection instead. 1) Item will be sent out to your mailing address within 3 working days after payment is processed. This apply to in-stock items only, out of stock/pre-order items will take longer time, please contact us for more information. Depends on the size of the parcel, we will send by Qxpress for big parcel and SmartPac for small parcel. Noted: For failed delivery, you are required to collect from the courier's warehouse or retrieval fee of $10 will apply if you wish to collect at our warehouse. For failed delivery, you are required to collect from the courier's warehouse or retrieval fee of $10 will apply if you wish to collect at our warehouse. 1) Pay the total amount to 96230658 through DBS Paylah (DBS/POSB) or PayNow (All Banks). Please put your order number in the message. Put your name as Initial. *Please attach a scanned copy of the receipt if you are using ATM transfer. **If you transfer from a bank other than DBS or POSB, please use FAST transfer method for immediate transfer, otherwise there will be a delay as it will take 3 working days for the transaction to be completed. 1) You can make payment by credit and debit card, bank transfer to PayPal or from your PayPal balance Please note we will charge a 4.5% fee of your order total to cover PayPal fees. 2) Your shipping address must match the address in your PayPal account and select registered mail/courier as delivery method, otherwise we may cancel and refund your order. 1) For corporate customers only. Please note we no longer offer credit term except for schools and government organizations. If it is the first time you make a purchase from us, we will require your cheque to be cleared before the goods can be delivered.